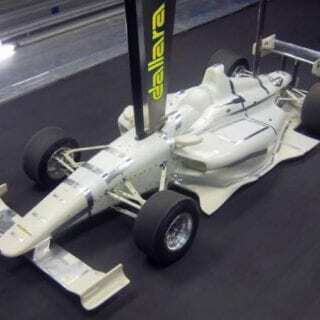 A distinctive and innovative Dallara IL-15 chassis will usher in a new era for Indy Lights Presented by Cooper Tires, the top rung of the Mazda Road to Indy ladder system. 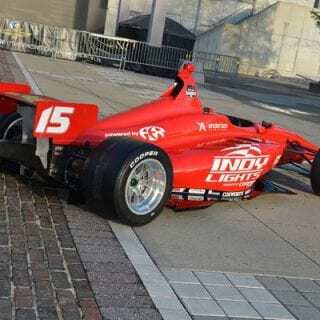 The Indy Lights Dallara IL-15 chassis was unveiled in the shadow of the Pagoda at the historic Indianapolis Motor Speedway, where Indy Lights drivers will contest the Freedom 100 on May 23. 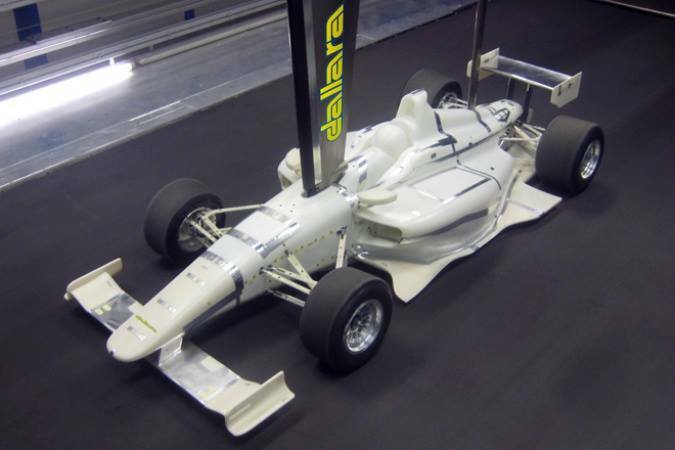 “Choosing Dallara as our chassis partner for the new Indy Lights car has turned out to be a great decision. 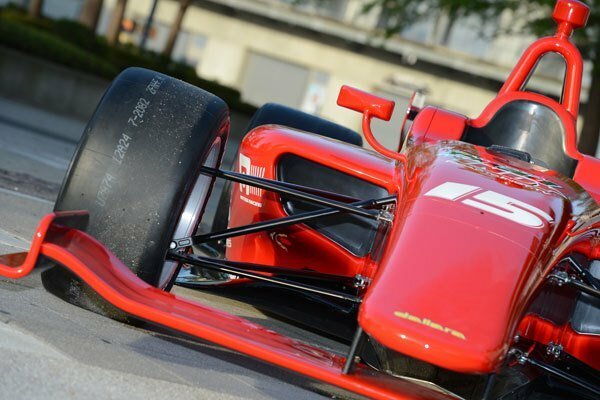 They have crafted a state-of-the-art race car with the latest technology and safety enhancements, which will provide the necessary training as we develop the next crop of Verizon IndyCar Series drivers,” said Dan Andersen, owner and CEO of Andersen Promotions, which oversees all aspects of the Mazda Road to Indy. 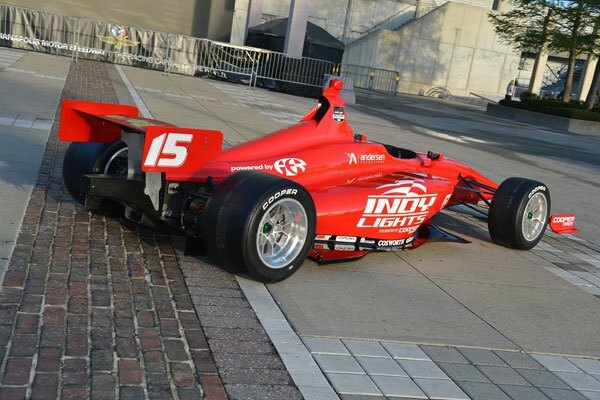 The introduction of the chassis, which will be assembled at the Dallara factory in Speedway, Ind., will coincide with the 30th anniversary of Indy Lights. Advanced Engine Research will supply the 2-liter, turbo-charged engines. Anderson also announced that the 2015 Indy Lights Presented by Cooper Tires champion will be guaranteed a three-race program in the 2016 Verizon IndyCar Series, including an entry in the 100th Indianapolis 500. A graduate of Indy Lights is represented on each of the 11 rows of three for the 98th Indianapolis 500 Mile Race on May 25, including seven Indy Lights champions. Sage Karam, 19, of Nazareth, Pa., last year’s series champion is among seven rookies in the field. Conor Daly will drive the car during its maiden U.S. test Aug. 4 at Mid-Ohio Sports Car Course. 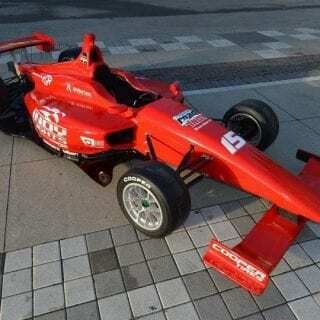 Tristan Vautier, the 2012 Indy Lights champion, will take the wheel for subsequent summer tests on the Indianapolis Motor Speedway road course and oval and the Milwaukee Mile. Verizon IndyCar Series drivers will be invited to drive and provide input. Project manager Tony Cotman said safety was at the forefront of design, and the car mirrors the Verizon IndyCar Series car supplied by Dallara with full-length anti-intrusion panels, side-mounted radiators to assist in energy absorption, a raised monocoque to protect the driver’s head, a front wing span to reduce wheel-to-wheel contact and increased underwing width to also reduce wheel-to-wheel contact. 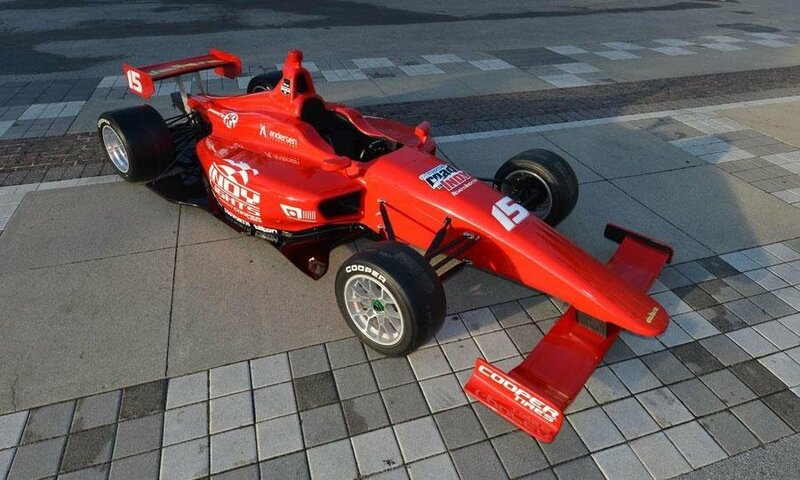 The driver’s seat fits the Indy Lights and Verizon IndyCar Series chassis.